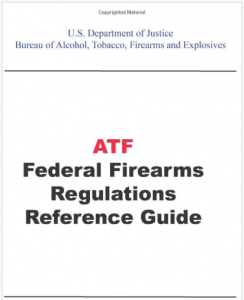 This entry was posted in Abuse of Discretion, Abuse of Power, Administrative Regulations, BATFE, Class III, Democrats, Gun Control, NFA, Regulatory Rulemaking. Bookmark the permalink. I don’t know anything about estates or trusts so am somewhat hesitant to make a comment. I am also of the mind that the government can go pound sand. I think that all of the firearms laws are unconstitutional and are therefore null and void. If nine people in black robes can’t see that, it’s beyond my ability to correct. Of course what I think and 1.50 will get you a cup of coffee at your favorite gun friendly establishment. A coordinated, high volume response may stand a chance of diverting this insanity. Anything less and firearms trusts will effectively be a thing of the past I fear.